Phishing emails are a serious threat to small businesses. These are emails that appear to be legitimate but actually send the victim to a fake landing page where hackers can steal their information or insert malware on their computer. What makes phishing schemes so insidious is that they use the logos and format of respected financial institutions and other large companies. According to a report by Verizon , almost half of malware is installed via email. That’s why it’s so important that you and your employees know how to spot these scams. The following are some of the top signs that you may have received a phishing email. Message provokes fear. The objective of a phishing email is to get the recipient to click on a fake link. It helps if the message inspires fear or even panic. If you’re worried that your bank account has been hacked or your PayPal account shut down, you may click on the link without thinking about it. Ironically, clicking on the link may bring about the very situation that the email mentions. Be especially wary of messages that contain scary or threatening messages. They may use words like “urgent” or “immediate action required” in the subject line. Emails are impersonal. If someone is sending you an important message, they will address it to a specific person or account. It doesn’t make sense if you think about it, that an email supposedly warning you about a serious security issue would only contain your email and no other identifying information. Suspicious “From” information. When you get a legitimate email from a familiar sender, the email address in the “From” field is easy to recognize. With phishing emails, however, they often don’t look right if you examine them. They may contain a long string of characters indicating that the message has been forwarded. Or it may be sent from a Gmail, Yahoo, Hotmail, or another public account such as MyBank@gmail.com. Legitimate companies always have professional email addresses. Other clues suggesting that emails may be fake include poor spelling and grammar or requests for information that a real company would never request via email such as an account number, password or credit card information. If you have any doubts at all, don’t click on links. If you’re careful about looking for the signs of phishing emails you’ll never end up on a fake landing page. However, there’s always the chance that you or one of your employees will slip up. Often, you can prevent any real damage from being done by recognizing a fake landing page and not taking any action. Here are the top signs of fake landing pages. Asks for information. A fake landing page often asks for information that the real company would already have. Missing important information. Real web pages, especially those from corporate websites, usually have a navigation menu, footers, and About and Privacy page and other identifying information. Phishing pages often lack these elements. Suspicious URL. A phishing page often has an URL that isn’t quite right. It may contain misspellings or names that don’t match the company it’s allegedly coming from. Another sign to watch out for is an unsecured connection. A legitimate URL should start with https to indicate a secure connection. 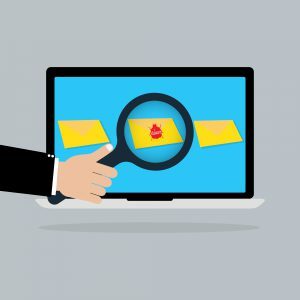 These are some of the top ways to spot fake emails and landing pages. Educating your employees on these tips and cybersecurity best practices can save your business a great deal of trouble. Another type of problem many businesses face is lack of cash flow. One of the best ways to address this issue is to use invoice factoring, a creative financing option that provides you with immediate cash for invoices. Learn more about invoice factoring by contacting Riviera Finance.